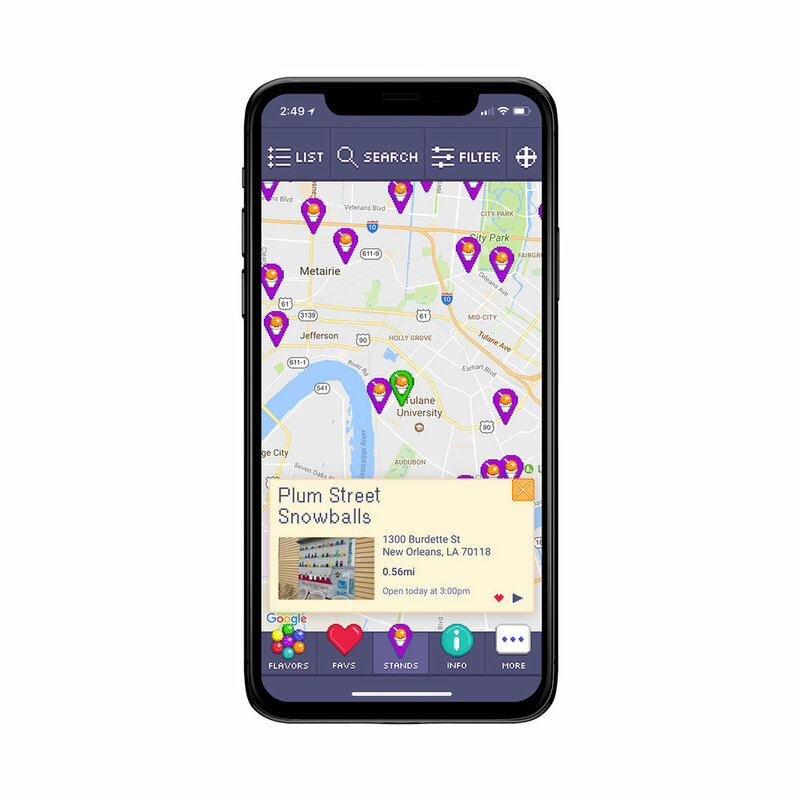 The NOLA Snoball Finder is an app that shows you all of the snoball stands and flavors in New Orleans. I worked with a small team this project from initial concept and to finish, eventually launching it on the App Store and Google Play. 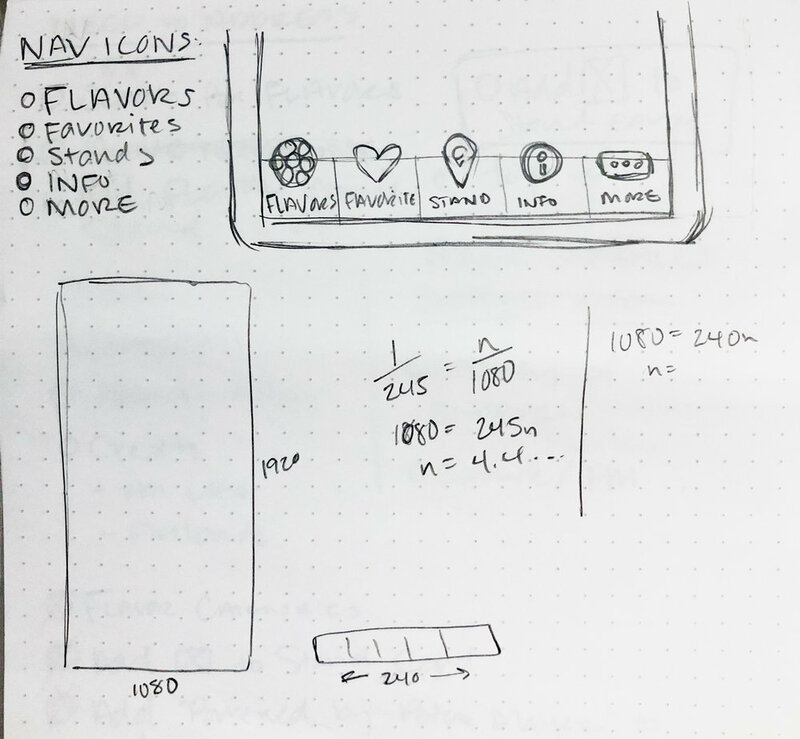 We first created wireframes and user flow of the app, uploaded a working prototype to InVision, and then started on design once we got approval from our managers. 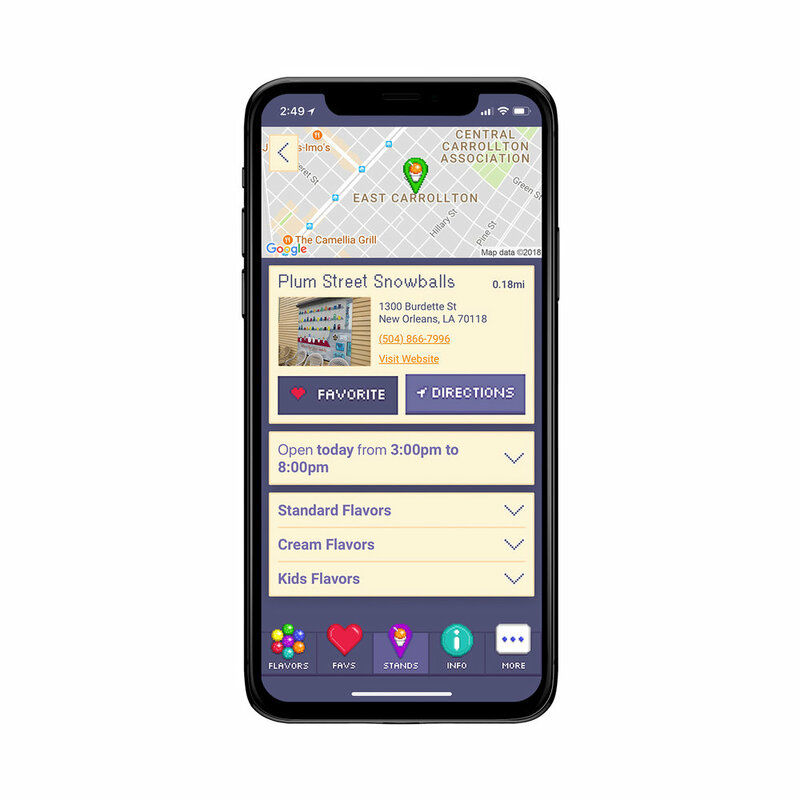 I created the pixel style of the brand and UI using a combination of Photoshop and Illustrator as a nostalgic throwback reflecting the old but fun tradition of eating snoballs in the city. The style is playful and retro, appealing to the young kids and and the young at heart who love the sweet treat. Once a style was established, I built the app UI in Adobe XD. This first screen introduces the branding with a detailed pixelated illustration of New Olreans by local motion graphics company Flatland. With my art direction and crude sketches of the layers of New Orleans laid out like a side-scrolling game, we were able to capture the colorful essence of the city in 16-bit graphics. I created each illustration and icon square by square from scratch to look like 8-bit and 16-bit graphics.